If you are in charge of a large-scale undertaking the overall cost of which amounts to thousands of pounds, you should not look for savings in property protection and monitoring. Do contact us if you are in need of alarm and camera-based surveillance systems and we will prepare a customized offer together with a detailed quotation for you. 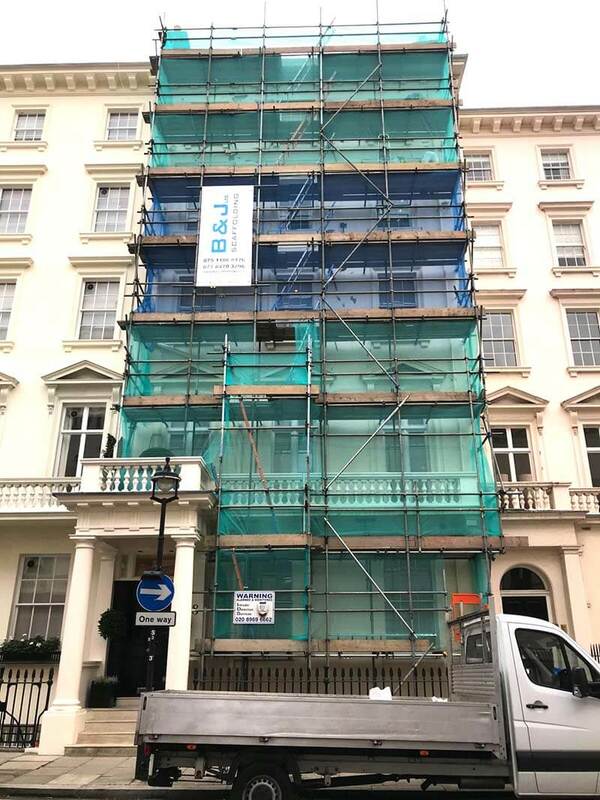 We can ensure that the price list you will be presented by the representatives of the B&J Scaffolding Company will be remarkably more affordable than ones you will be offered by competitive firms operating within the borders of London and neighboring areas. We can also support you in terms of advising and planning preparatory works that precede the process of scaffolding erection. Please, browse our website if you look for such unique and unusual services as scaffolding design or commercial scaffolding assembly and disassembly. The cooperation with the B&J Scaffolding Company will save you hassle and will surely turn out to be the most cost-effective solution available on the market. Do get in touch with us if there is the necessity to perform scaffolding maintenance-related undertakings as well. We will help you with a real pleasure!